Fibreoptics is great, as long as you have some way of making it user-friendly. 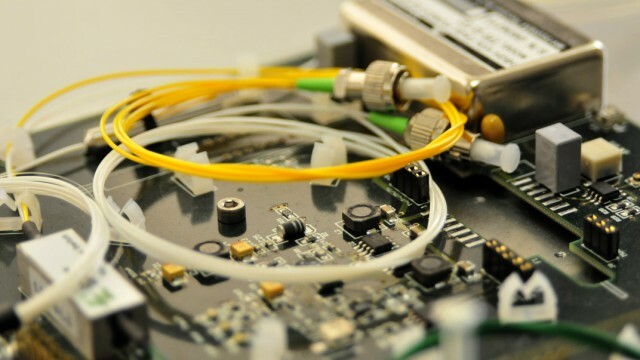 We specialise in integrating fibreoptic componentry with electronics, firmware and software, to make devices that are useful and stable. Although we work closely with University research teams, our systems don’t need graduate students permanently strapped to them to make them work. We can build fibre systems for light generation or light measurement (sometimes both! ), including fibre lasers, ASE sources, complex-amplitude (amplitude and phase) analysers, optical spectrum analysers, OSNR meters or FBG interrogators.